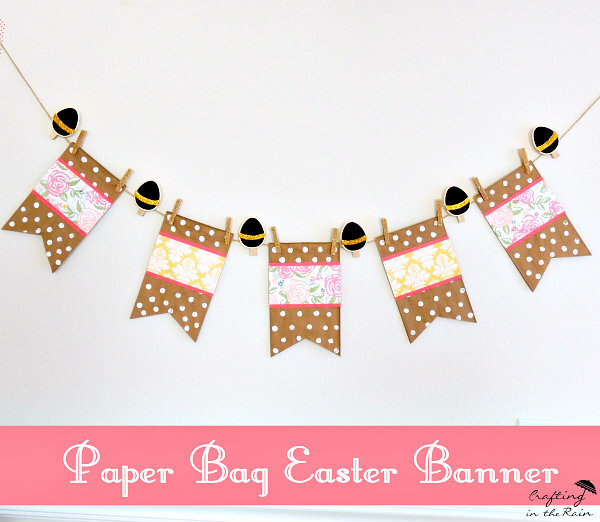 Here’s Gemia’s original paper bag banner. Be sure to click on her version! Here’s how I made my take on it. 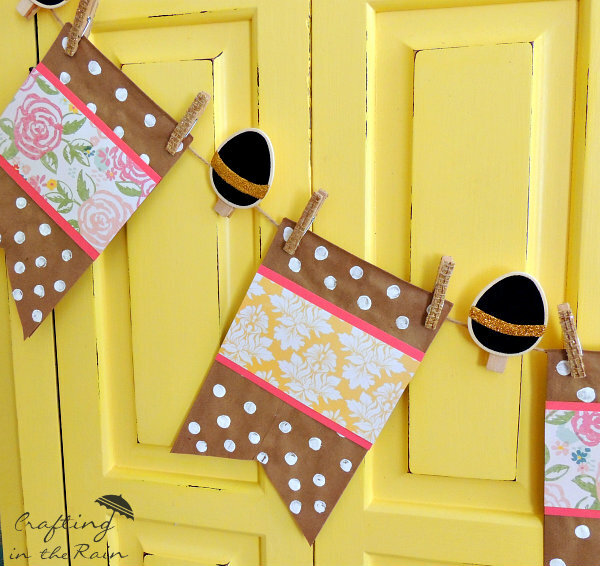 Start by cutting a triangle out of the bottoms of the bags to make flag points. 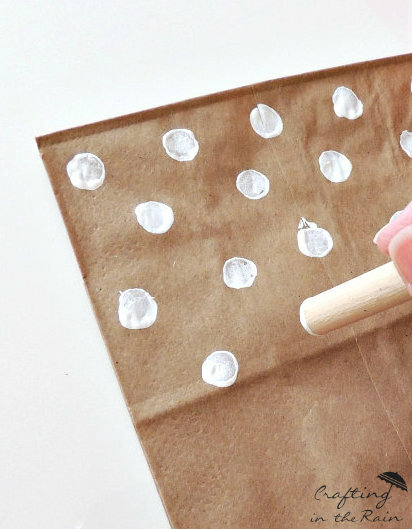 Use the end of a paint brush or pencil eraser to paint dots on the bags. 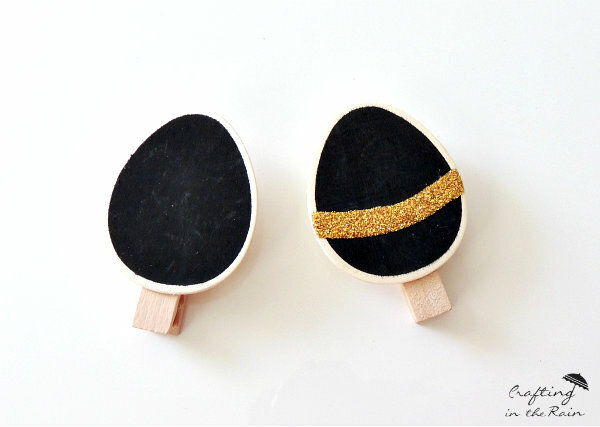 Add a glitter stripe to each egg shape and covering with glitter. 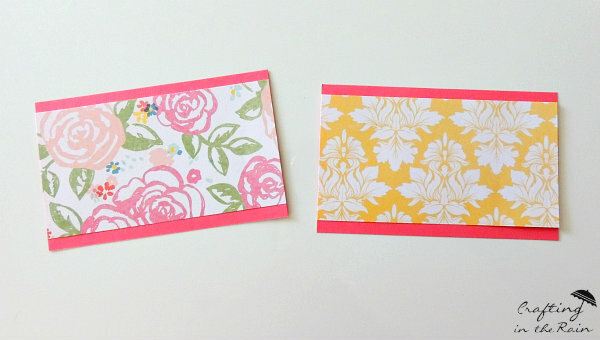 While the glue and the paint dry, cut paper to 2.75 inches x 5.5 inches. Add a solid color behind that’s cut to 3 inches x 5.5 inches. 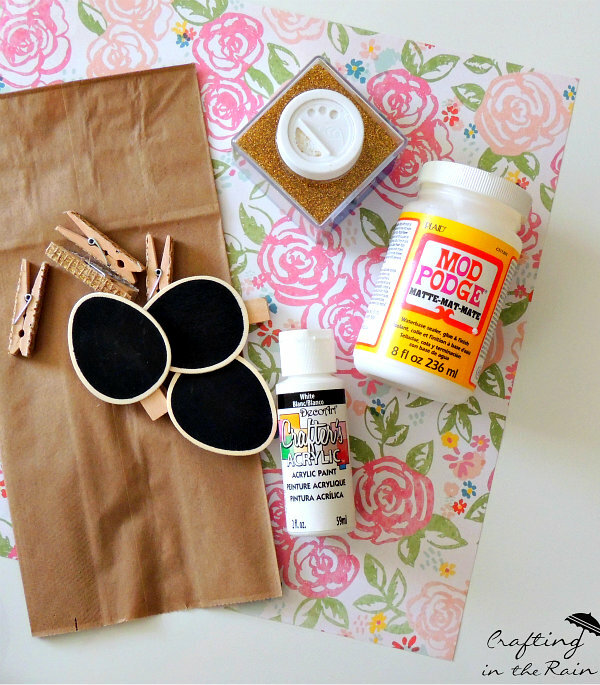 Glue together and glue to the paper bags. 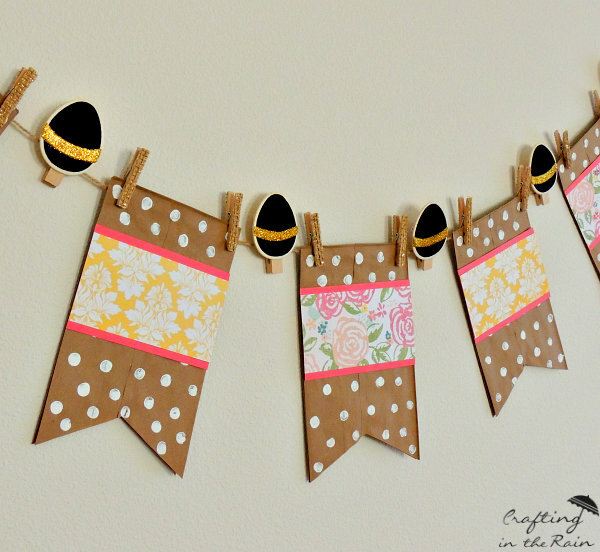 Use clothespins to hang bags from the twine and add eggs in between. 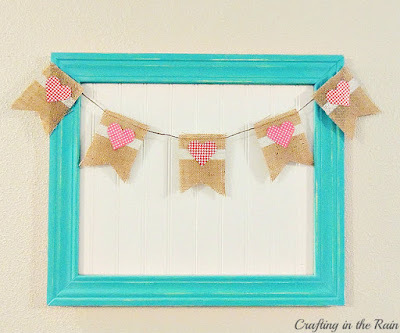 Then string up your new decoration! 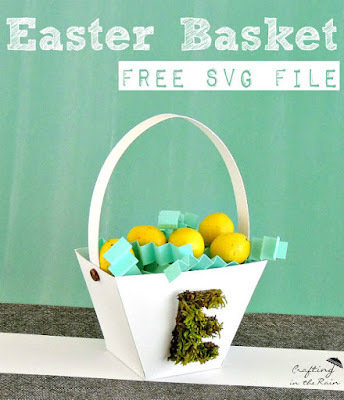 For more Easter posts go visit all these links.